Cedarwood Essential Oil has an earthy aroma that is soothing and grounding. It is a well documented oil, used by the Sumerians, Egyptians and Tibetans. And is mentioned over 40 times in the Bible. Cedarwood oil contains the highest amount of sesquiterpenes. What are Sesquiterpenes? They are a hydrocarbon group that is found in essential oils. They stimulate the limbic system of the brain which helps to elevate our mood and helps us relax (overcome stress). This explains why Cedarwood is relaxing and may help with focus. I have used Cedarwood essential oil for relaxing before bed time and soothing buggy summer days. But it is really the spiritual feelings that I get when I use it that makes me reach for the bottle time and time again. For me, the words are connected, comforted yet grounded. There are three great professionally made blends that I use that contain Cedarwood. They are Australian Blue, Sacred Mountain and Highest Potential. contains Gathering and Australian Blue Blends! This section is a fun and easy reference guide for Cedarwood Essential Oil. It will tell you how to use it and what to use it for. It will also provide you with some fun suggestions, safety precautions for you and your pet! As I receive new tips and testimonials for Cedarwood oil they will be added to the page, so check back frequently! Want to Purchase Therapeutic Grade Cedarwood Oil? Go to the Oil Shop! Buy Cedarwood Oil here! Why is this Information Important? Cedarwood oil is sold under many different names. And in fact, many plants in the Cupressaceae family may be sold under the Cedarwood oil label. What is the Origin of the Plant Name? Cedrus is a Arabic word "kedron" meaning "power". Did you know that this species is the most directly related to the Cedars of Lebanon quoted in the Bible? What are the Plant Properties? Warming and relaxing. What are the Documented Uses for Cedarwood? Mental clarity and focus. What is the Aromatic Affect on the Mind? Calms the spirit and eases nervous tension. Helps calm anger and ease stress. What is the Spiritual and Emotional Influence? Cedarwood oil helps you embrace the feeling of being totally safe and secure with yourself as well as in your environment. As fears are released, the heart is open to spiritual love and protection which also brings self acceptance and love. What Chakra is Affected? The heart chakra expands using this oil. What are the corresponding Chakra Colors? Yellow and red. Can this Oil be used for Animals? Yes, have your animals smell it directly from the bottle or place a drop or two in your palm, then smell. Or place a drop in your palm and pet head to toe on your dog and cat. I make up a spray with Cedarwood that works great! What are the Safety Precautions? First, only use therapeutic grade essential oils for best results! Safe for children over 2 years of age. Pregnant women should use caution. Dilution not required, except for the most sensitive skin. Did you know that the Egyptians used Cedarwood for embalming the dead? 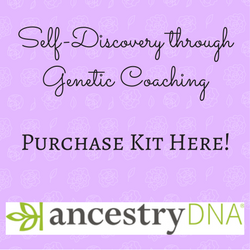 Did you know that the Native Americans traditionally used it to enhance their spiritual communication? Did you know that the Cherokee believe that cedar wood holds powerful protective spirits for the Cherokee? It is tradition to place a small piece of wood in a medicine bag and wear it around the neck. 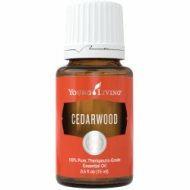 Place Cedarwood on your thumb and the roof of your mouth to release blocks to learning!